This is a card we made at my May card workshop. We were using the Color Dare #95 colors - Sunset, Olive, and Lagoon. Many of my cards this month used the masking tape technique which is featured here. 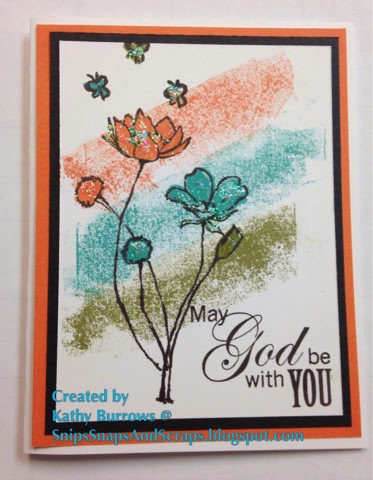 If you would like to see other great cards using this color combination visit the Color Dare Blog.